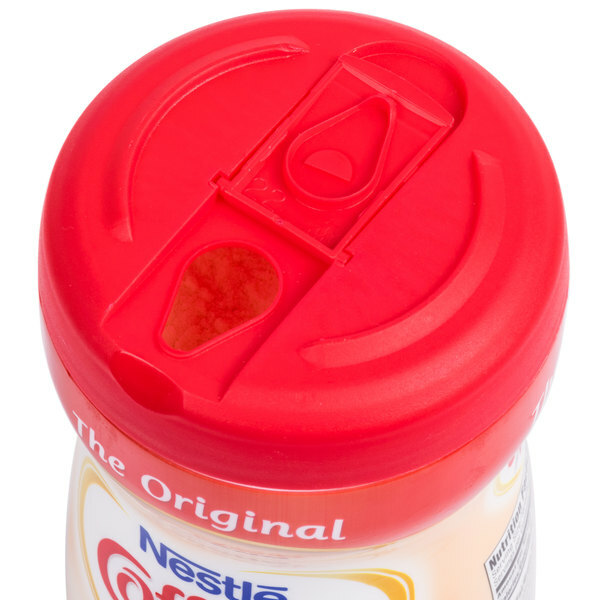 Make any beverage extra smooth and creamy with this Nestle Coffee-Mate original coffee creamer shaker! This 16 oz. shaker-style canister is convenient and hygienic, making it easy to sprinkle creamer into your piping hot drinks. This powder creamer sweetens any cup of coffee with an original, rich and deliciously creamy flavor, and it dissolves quickly without diluting or cooling the coffee. 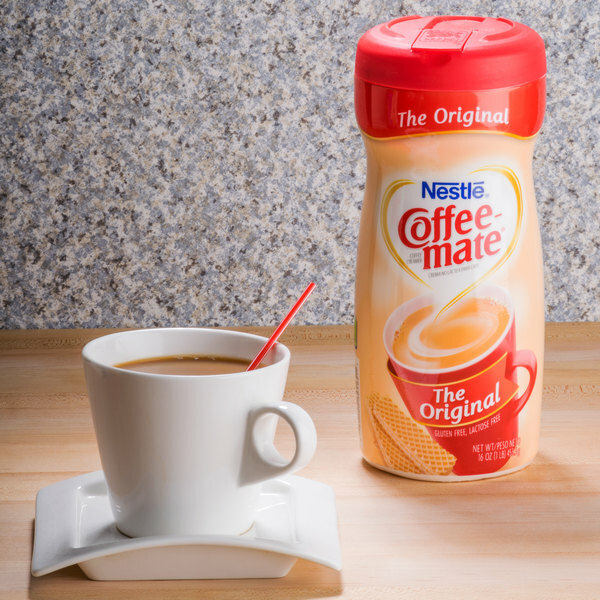 Nestle Coffee-Mate is the top-selling flavored non-dairy creamer brand in America, and this recognizable brand makes a great addition to your restaurant, hotel, convenience store, coffee shop, or cafe! Since it does not require refrigeration, it has a long shelf life and reduces costs due to spoilage. 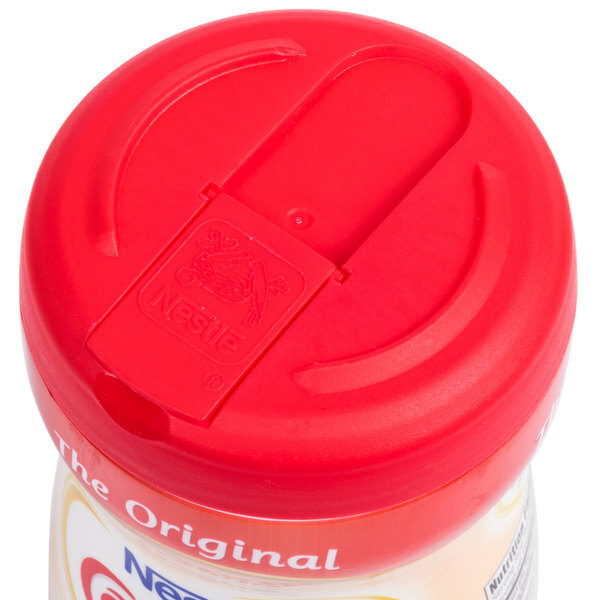 The canister packaging also reduces waste from individual creamer packets. 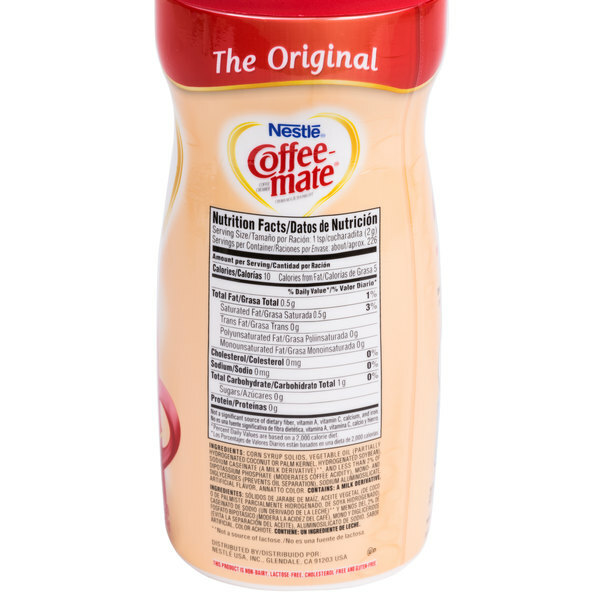 Allergy-friendly, Nestle Coffee-Mate original coffee creamer is lactose free, gluten free, and contains no cholesterol or trans fats! For over 50 years, Nestle Coffee-Mate has been dedicated to crafting flavors to please any palette and transform mornings! Their diverse offerings include something for everyone: from their wide variety of flavors to their dairy-, gluten-, sugar-, and fat-free creamers, they have products that are sure to meet the needs of your diverse customer base. Coffee-Mate remains committed to innovation while continuing to offer the classic flavors that Americans have loved for generations. Offer your customers flavors that will tantalize their tastebuds and transform their coffee with Nestle Coffee-Mate's Products! it just makes it so convenient to have it shipped to me in bulk and I know I have plenty on hand for a while. I've been a fan of the regular Coffee-mate powder since the early 1970's and nothing seems to be able to compete with it. 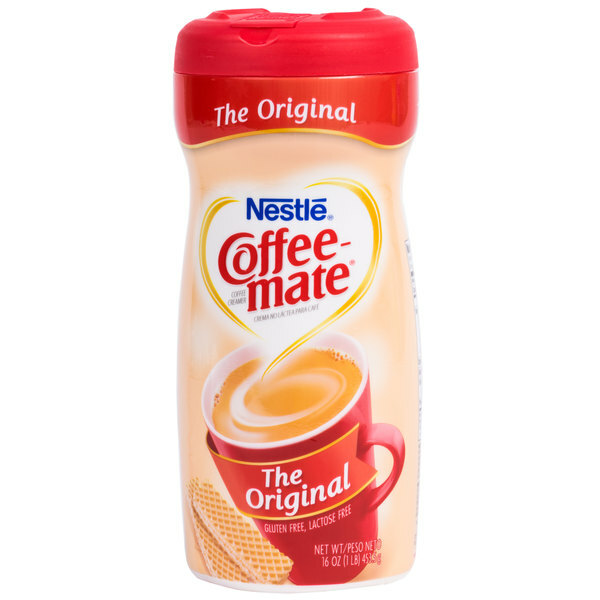 Even though I've tried the other flavors and the liquids Nestle also makes, and likewise tried other brands, I always come back to this Original Regular Coffee-Mate Powder and believe it will always be my preference for a really rich and flavorful addition to my coffee. I love the smoothness and how well it blends. 12 in a case for the Nestle Coffee Mate Creamer original flavor. Good taste on these and it comes in a convenient shaker. Great for any business or home. I love this product. I tend to prefer the powdered creamer which this is because it lasts way longer and can be stored out of a fridge. The taste is still extremely creamy and delicious! The hands down best coffee creamer on the market. The creamer is smooth and incorporates well into the coffee. The creamer is perfect for our break room. These need to be on your shopping list if you run an office or any kind of food service business where coffee is on the menu daily. Everyone loves this creamer. I don't usually love powdered creamer, but the Nestle Coffee-Mate is an exception. It has a great flavor and dissolves easily in coffee. It's great to keep as a back-up that is shelf stable when liquid creamer isn't available. 12 in a case on these nestle coffee mate creamers. Original flavor and easy to stir in. The shaker is more environmentally friendly and cost effective than buying individual packets. . I love coffee mate creamer. Having a non refrigerated option is nice for waiting rooms and break rooms. I really enjoy the texture this gives my drinks. It's easy to scrimp on creamer and go with the cheaper alternatives. However, they will never compare to coffee mate. It is by far the best plain creamer out there. If you were to only have one coffee enhancer in your restaurant this is the one I would go with. Coffee mate is a trusted brand that never fails to exceed expectations. This a great coffee creamer. It is great for break rooms or areas where refrigeration is an issue. Just add a little bit to your coffee and stir. 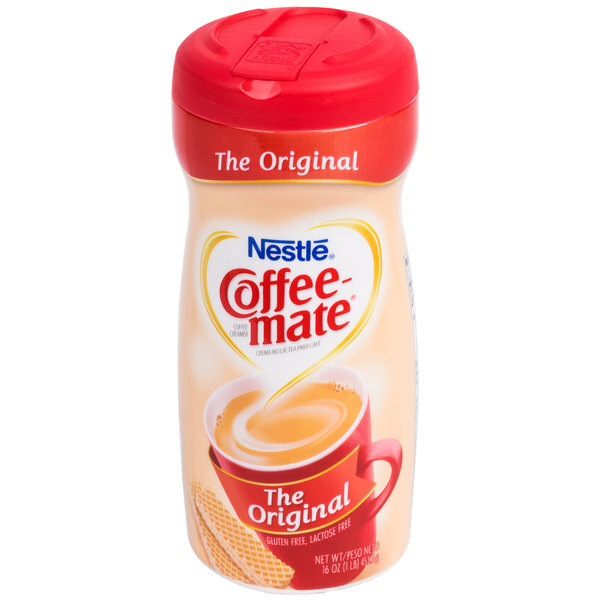 The Nestle Coffee-Mate Original Coffee Creamer Shaker is a really good deal. I purchased for home use and I am very happy with the creamer. The container closes up easy for storage which is a plus. Highly recommend! Even though this is only 1 oz. larger than the vanilla and hazelnut creamer, it looks a lot bigger. 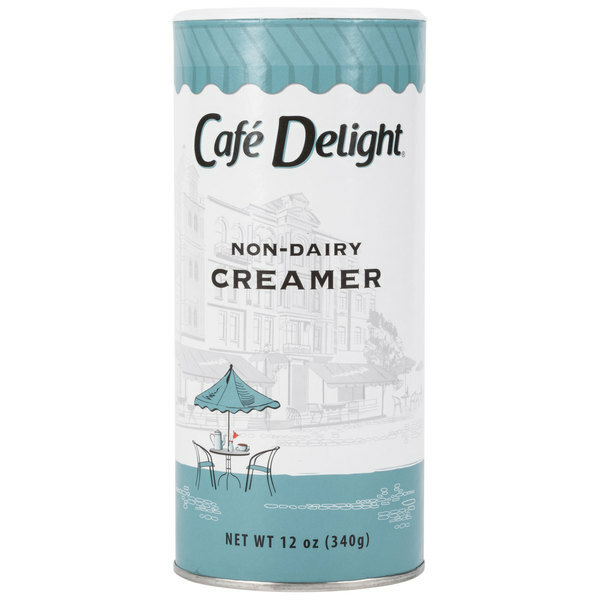 my customers that are more old fashioned and don't want all the flavors that are in the vanilla and hazelnut creamers tend to stick with this original creamer, and they love it!!! Sir Clean recommend this product Nestle Coffee-Mate Original Coffee Creamer Shaker - 16 oz, the price is really good, perfect to use in restaurants or home. 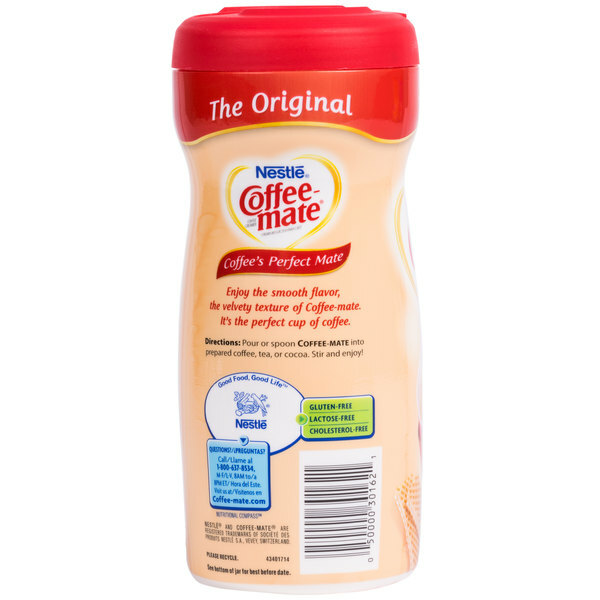 this nestle coffee-mate coffee creamer is a great alternative to to regular milk or creamer. some of our customers love the taste and won't use anything else. Nestle coffee mate is the most popular brand. Many enjoy it. It works well to add cream to coffee and other beverages. It is convenient that it doesn't need to be refrigerated. Very common staple item in most people's homes, and even in offices. Easy to use, great flavor, perfect for adding into your favorite cup of coffee. Everyone loved this classic creamer. We had a cheaper generic version which no one was really a fan of. Coffee-Mate is definitely worth the little extra money. Nice price for this great brand. Perfect for the break room because you don't need to refrigerate this creamer. The bulk size keeps you from reordering often. I really love this nestle coffee mate creamer it's really good and it's actually more fordable than most of the grocery stores around here! The lid is designed to keep it fresh which I really like and it doesn't spill! I plan on using this container of coffee mate at a party I am having in the near future. There are more than 100 servings and the price was much lower than my local grocery store. I know there cheaper alternatives for creamers but i find I need less Coffee-Mate to get the flavor I'm looking for in my coffee. In my case this is the better deal. This price for this brand is the best I've found on the internet. Save Up To $1.69 per unit for a total savings of $40.46 with our Recommended Product! Try this flavored non-dairy powdered creamer shaker instead! Like the Nestle Coffee-Mate brand creamer, this powdered creamer is shelf stable, easy to use, and makes any cup of freshly-brewed coffee deliciously smooth and creamy. Unlike the Coffee-Mate creamer, this variety is sold 24 (12 oz.) creamer shakers per case, meaning that you can get more shakers for a better value!